A. C. Smith has been drawing since the tender age of two. He is a freelance artist from Mobile, Alabama. 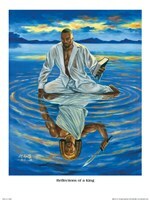 He acknowledges the source of his inspiration everywhere he goes and believes that his talent is a gift from God. He received art training through "Culture in Black and White”, a community program. He obtained more training in high school. After graduation from high school, he began a journey to become a career freelance artist. Smith has produced portraits throughout his community and has been featured on several local television news programs. The artist has also created renderings and illustrations for various businesses in the area and entered several local art shows and won numerous awards. Around 1990, he began traveling throughout the United States entering mall and art shows. 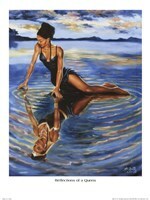 In 2004 he began creating illustrations for African American Expressions, a greeting card company. He has drawn caricatures for different businesses at several major events. Currently, Smith produces artwork during the summer vacation and the spring-break period at The Beach Club, the beach resort, located in Gulf Shores, Alabama. He recently had a show in Washington, D. C. during the Presidential Inauguration. He currently has two "President Obama" art prints on the market that are selling quite well. Smith teaches art workshops and classes throughout the city of Mobile, and he has painted murals inside Pillans Middle School and LeFlore High School and in several other schools in the Mobile County Public School System. He has also produced illustrations for several publications and books. Smith creates caricatures at major events for businesses such as: Essence Music Festival, Beau Rivage Casino, Bayfest, The Sugar Bowl, and The Super Bowl.